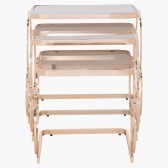 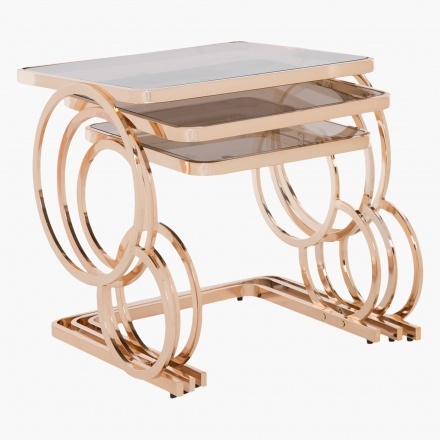 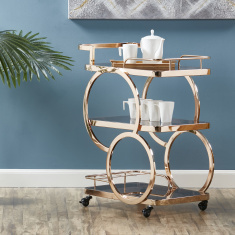 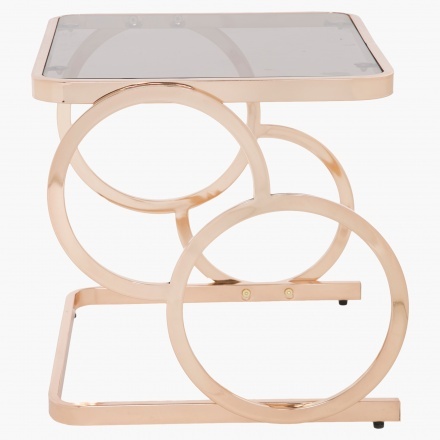 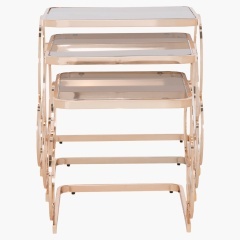 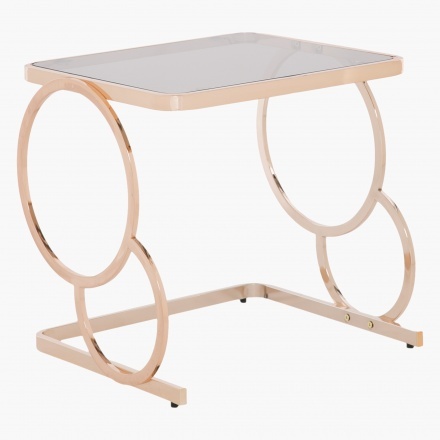 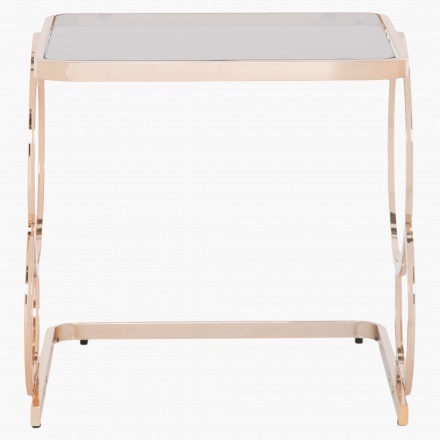 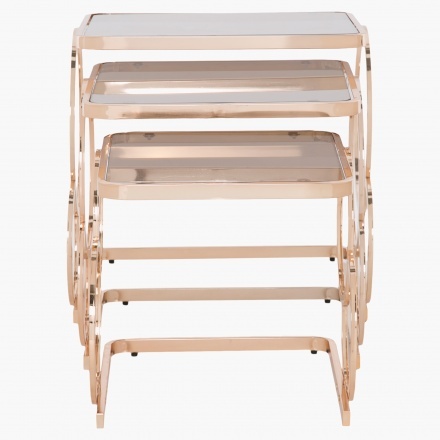 With a simple yet modern design, this nest of three tables will make a great addition to your home decor. 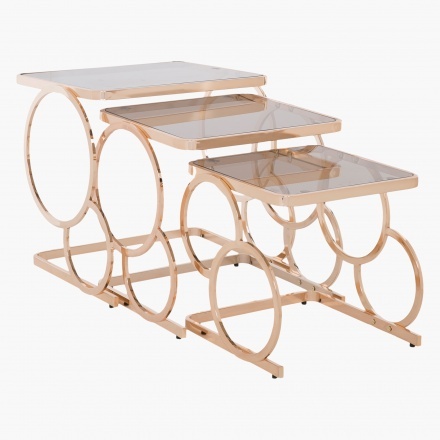 Sporting three square tables that fit neatly under the other, this modern piece has a lovely design. 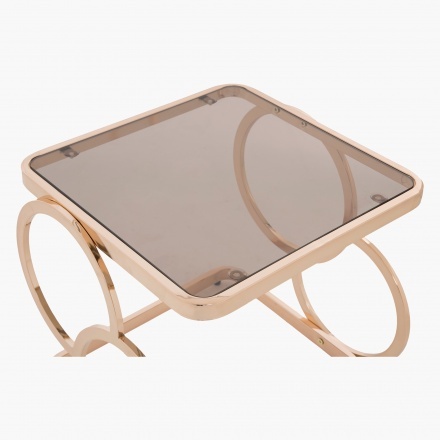 Made from glass and steel, it is sure to last long.